Benu Aggarwal, Milestone’s Founder and President, caught up with SES Chicago keynote speaker Maile Ohye, Senior Developer Programs Engineer for Google, and asked Maile for her top 5 tips on getting better results from Google bots crawling websites. Make sure you have strong site architecture. All URL should be reachable from home page and child page. Make your whole content indexable. Means textual content should be plain text and should not be hidden in image and video. For Image- content, use alt tags to index it. Use Video sitemap to make sure videos are indexable. Check crawl error in webmaster tools. Find and resolve URLs which are unreachable or not found (404 errors). Make sure user from your site or external site, clicks on link to reach on your site should come on correct page where he should be. Google webmaster tool also give you crawl error sources. Webmaster will tell you actually from where this broken link came. So ask that webmaster to correct that link or do 301 redirect to resolve any typo errors. 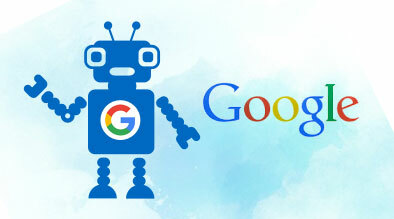 Use “fetch as Googlebot.” Fetch as Googlebot will help you to verify 301 redirects and URL rewrites working properly. It’s in webmaster tool under the labs feature. Use URL parameter handling in Google webmaster tools. You can tell Google webmaster which parameters on the site are important and which do not change the content and are therefore unimportant.